I have been reading The Tin Drum since December last year. No, I am not so slow a reader taking six months to read a five hundred page novel. I have been reading it alongside other books. More so, The Tin Drum demands slow reading, given the content and literary style. This book was written by the late Gunter Wilhelm Grass, winner of literature Nobel Prize in 1999. He passed on 31st April 2015. I did not write and publish my eulogy in respect of this literary guru earlier because his death was not a newsworthy item in Kenya (the Kenyan media did not capture it) and even in East Africa, but it was literary news globally. Additionally, it wouldn’t have been wise to rush out with a scriptural verbiage when mourning the treasured role model Gunter Grass was to me. 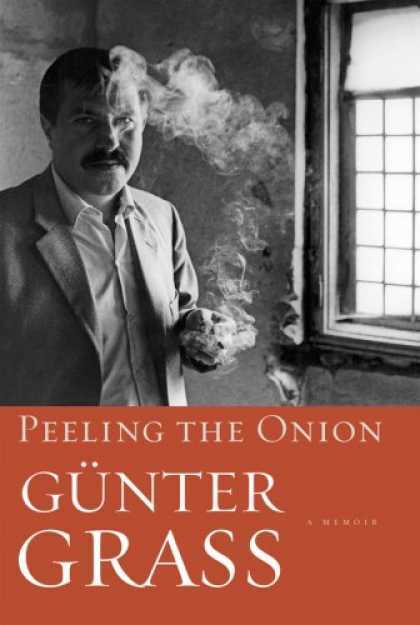 Indeed, Gunter Grass was my literary hero. He began writing immediately after the Second World War. His first novel appeared in the middle of the last century, followed by more than a dozen drama, poems, prose and sculptural works. He was also a seasoned dancer with a keen nose for wine and its orature based accompaniments. What pulls me to Gunter Grass is his approach to life as a writer. Married to Ute Grass, he lived in the village side of the city of Danzig in Eastern Germany where he had two houses. One was his writing office. His highest level of education was vocational training as a stonemason. He wrote in Deutsch, but not in his native Polish language, given the historical fact that Hitler permanently annexed Danzig from Poland during the Second World War. Thus he was humble, but had the literary audacity and intellectual fortitude to question the moral history of Germany. This was expressed in his main character in The Tin Drum, Oskar; he stunted and refused to grow up, but kept on with his fantastic pilgrimage to old age and chose to talk through warming the Tin Drum, as a way of protest against German’s perpetration of historical injustices. In his 2014 poem, What must be said, Grass boldly questioned the moral authority of Israel to dispute the Nuclear Programs of Iran, when Israel too has nuclear stations at Negev and has perpetually inflicted violence on the unarmed peasant Arabs at Gaza. This poem caused international furore from pro-Israel scholars. They called for withdraw of his Nobel Diploma. I, too, have where I differ with Gunter Grass. In his writings as noted in The Tin Drum, he pictured Black Africans as savages or sub-humans and participated in Hitler’s youth league known as the Waffen SS. Personally, I forgave him. He was not the only European of his time that misunderstood Africans. Several European intellectuals of that time did; Joseph Conrad in his book, The Heart of Darkness, expressed open detestation for Africans in Congo; a certain Russian professor mentioned River Nile as one of the rivers of Europe; Adolf Hitler in his Meine Kampf argued that Africans are savages; Rudyard Kipling saw Africans as sub-human, hence his infamous poem, The White Man’s Burden. Even Karl Marx with his intellectual brilliance wrote of the Indian and African communities in his Das Kapital and The Selected Works as primitive and thus colonialism was a blessing to them. It was not Gunter Grass alone who misunderstood Africa. It was a common intellectual failure in Europe to take Africans as sub-human. We forgave them. Grass’s literary style was admirable. He was sensational and a gifted writer of magical realism. He influenced Gabriel Garcia Marguez to write One Hundred Years of Solitude, as well as Love in the Time of Cholera. He influenced Salman Rushdie to write Midnight’s Children and the The Jaguar Smile. In Africa, he Influenced Nadine Gordimer who reflectively displayed magical realism efforts in The House Gun. Also the West African writer, Ben Okri, his The Famished Road reads like an artistic mirror and alter ego of the The Tin Drum. The same can be said of Tea Obreht’s The Tiger’s Wife which reflects artistic surrealism of Grass’s stature. There are a lot of literary virtues in Grass’s works that African writers can bench- mark; thoroughness in writing, depth of research, use of phantasmagoria, use of language in the sense of simplicity and word economy, intellectual currency and audacity and dutifully overcoming poverty as a barrier to writing. These virtues are seen across his works; he displayed thoroughness in The Tin Drum, humour in Cat and Mouse, audacity in Dog Years, depth of research in Crabwalk, thoroughness in The Flounder and intellectual currency in the love satire The Call of the Toad. In order to understand the suave qualities of Grass’s intellect, read the memoir he wrote after winning the Nobel Prize, Peeling the Onion. In this book Grass digs deep into the past to work his way through the different layers of his memory and identity. 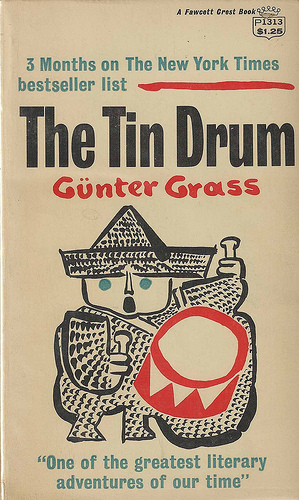 He covers in this autobiographical book the period of his life before he wrote The Tin Drum. He uses this literary work to reveal his secret life as a teenager in the Nazi Germany by being a member of the Waffen-SS, the armed wing of the Nazi party. This revelation bamboozled the community of his readers and fellow intellectuals. Going by current evidence, Grass’s public life had been openly anti-Fascist and one of the most influential voices that passionately helped Germany work through its historical guilt to its post-war dignity and identity. It was a paradoxical public situation harvested from the literary work. 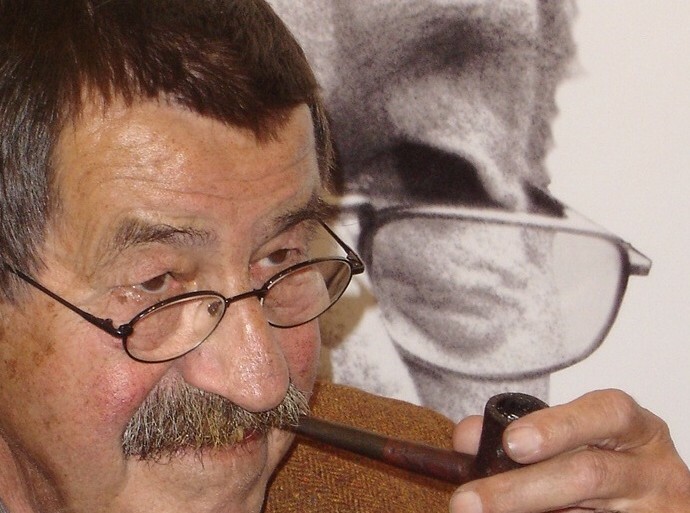 Gunter Wilhelm Grass died at the age of 87, on 31st April 2015, after a short bout of sickness. We shall miss a literary front to the global politics that is devoid of the wisdom in Shakespeare’s Measure for Measure, but all in all, a living soul must finally taste death. Rest in peace you heroic son of Germany. Gunter Grass image: by Florian K.
Nothing was more seminal for me than listening to Harriett Gilbert interview him over the BBC, around 2009.